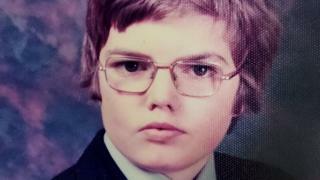 A person who wrote a letter to the family of a murdered 15-year-old boy claiming they had "important information" about his killer is being sought by police 40 years on. In a statement issued by police, Sean's family said he was a "much-loved son, brother, grandson and nephew and is greatly missed". "He was a gentle, loving boy only just past his 15th birthday. He enjoyed spending time with his family, loved horses and horse riding," the family said. "Forty years on we still think of him every day." On Tuesday, 17 April 1979, between 17:30 and 18:00, Sean left his grandparents' home in Victoria Gardens, Northampton, to visit the funfair at Midsummer Meadow. He failed to return home that evening and his body was found by a passer-by at 08:10 the following day. He had been strangled. Det Ch Insp Ally White, of Northamptonshire Police, said: "We don't know for sure whether or not he got to the fair. We believe he was killed elsewhere and taken to this location sometime between 06:45 BST and 08:10 BST. "His jacket and glasses were missing and have never been found, and his shoes and belt had been left a short distance from his body. "It's very possible that someone knows who murdered Sean, or has information they didn't share at the time which may provide that all-important missing piece of the jigsaw."